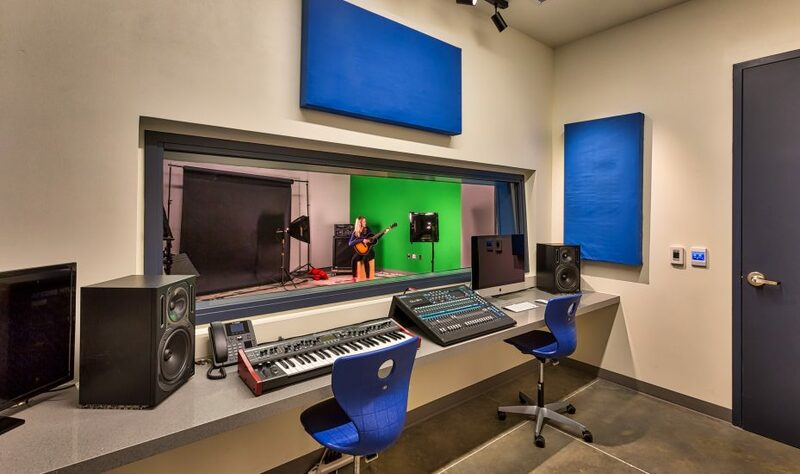 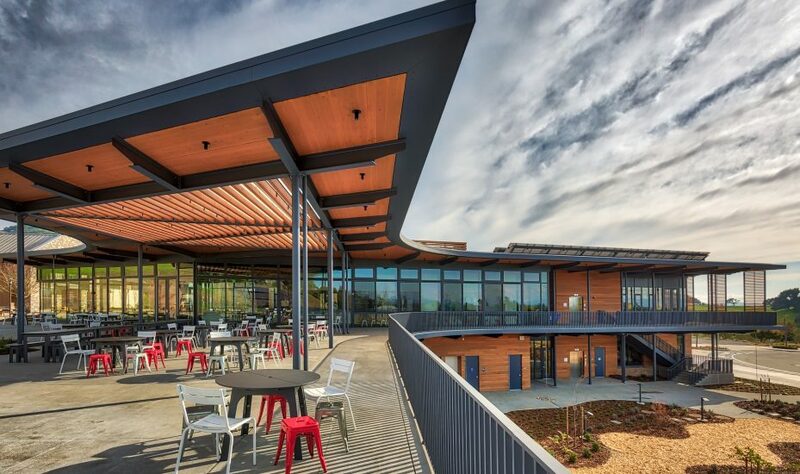 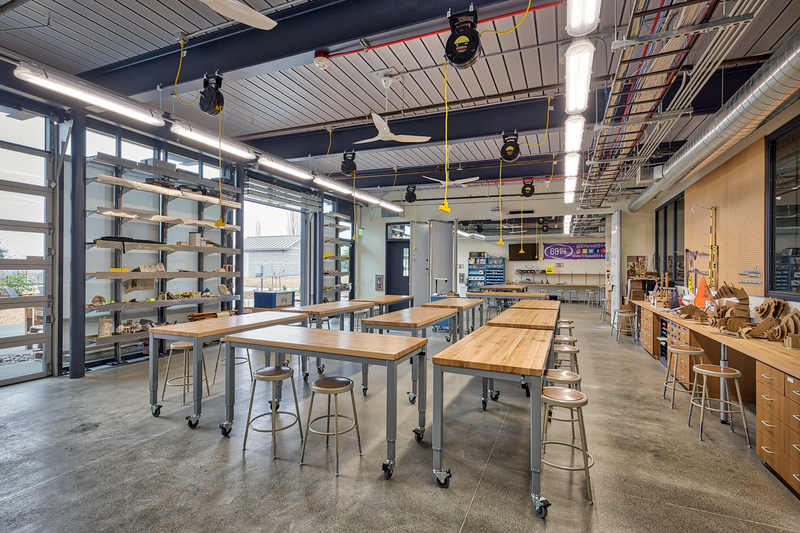 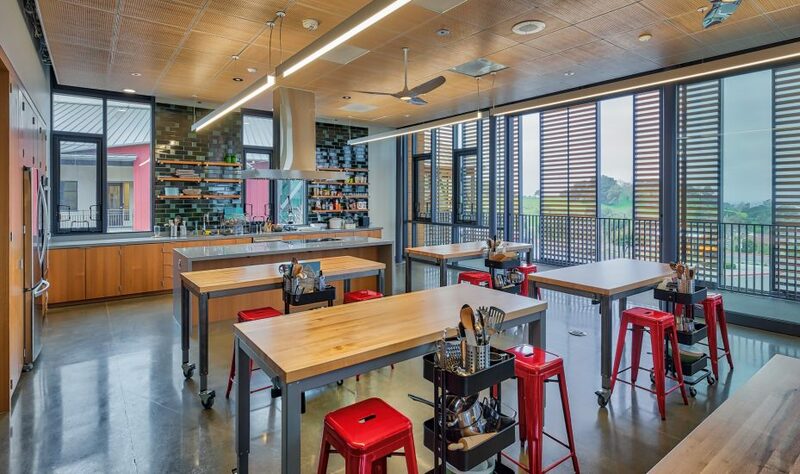 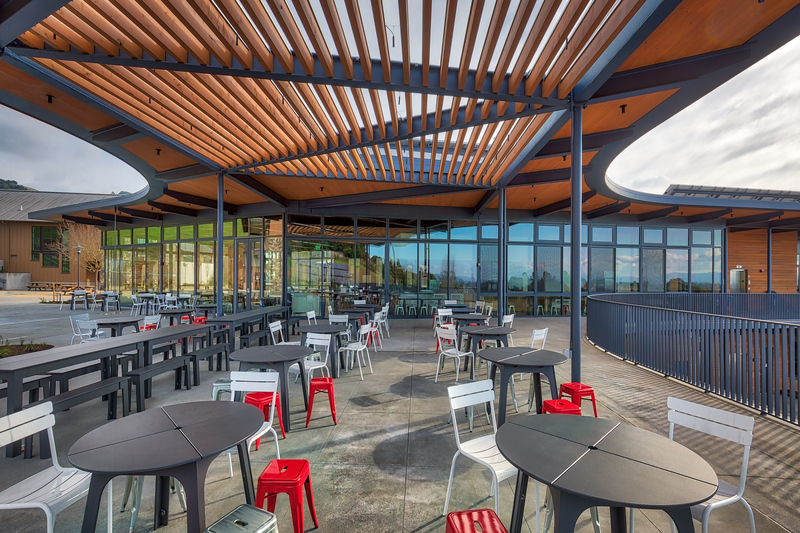 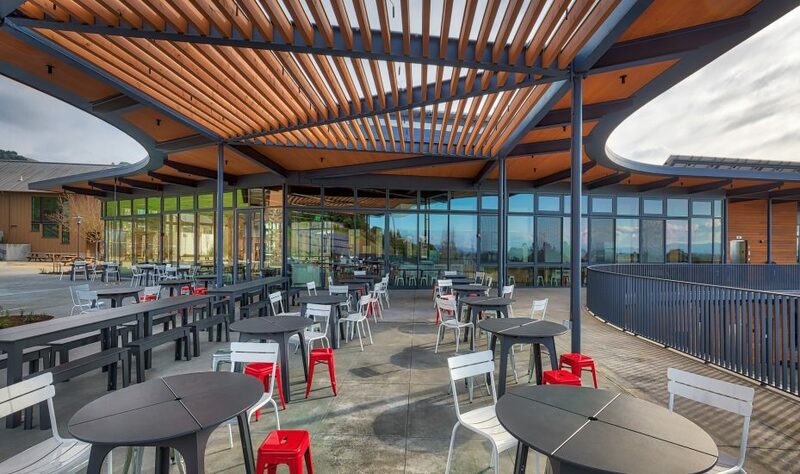 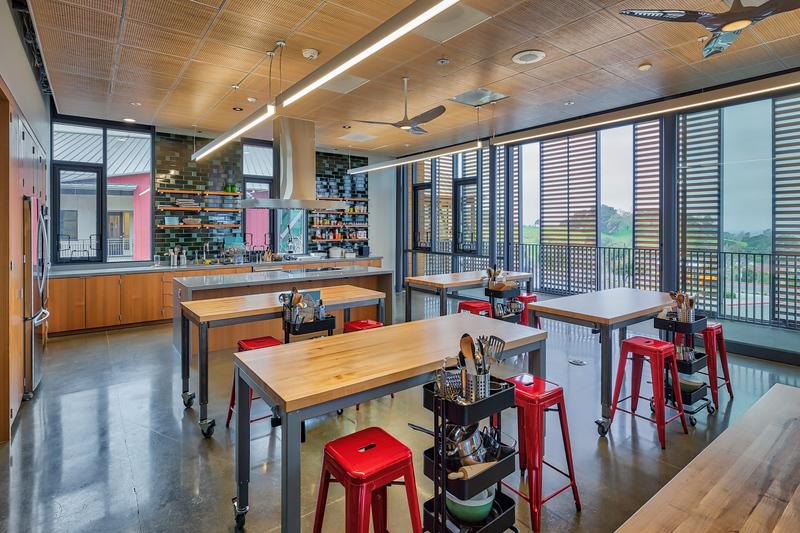 The new Janet Durgin Guild and Commons Building at Sonoma Academy features two new buildings; the Guild and Commons building and the Maintenance building. 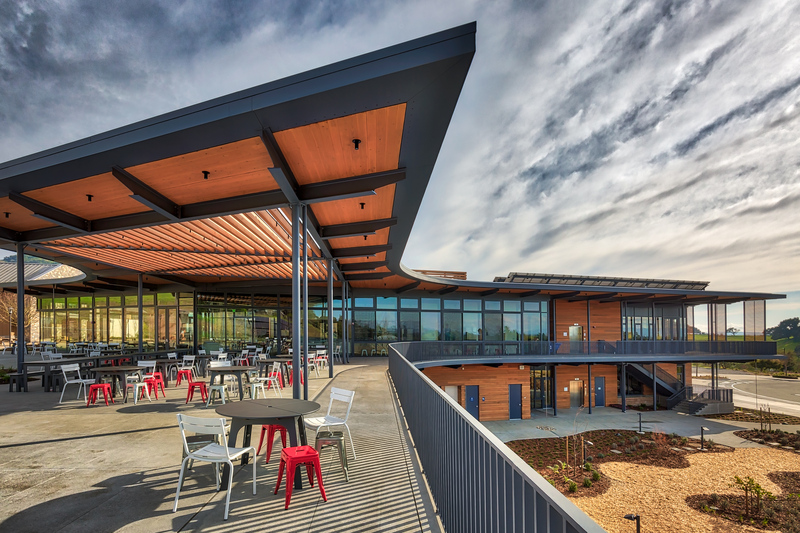 The Guild and Commons is a 20,000 s.f. 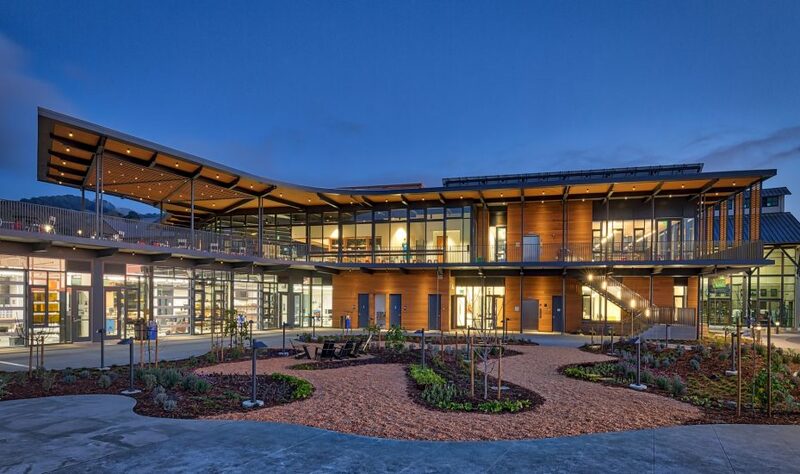 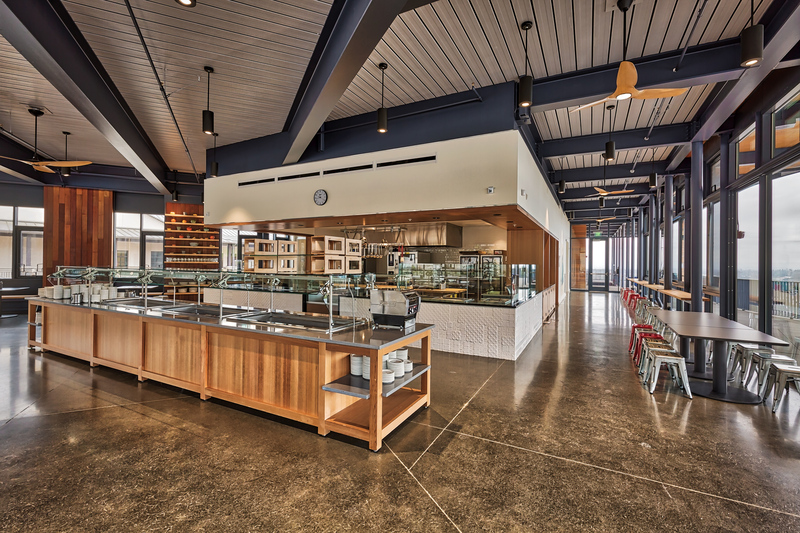 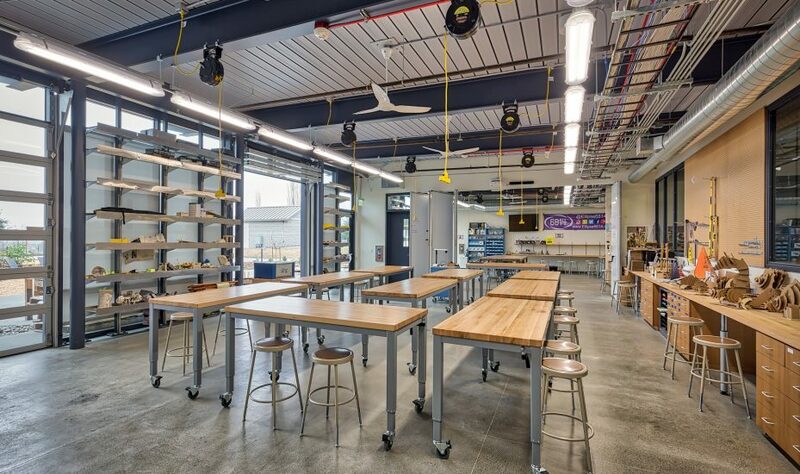 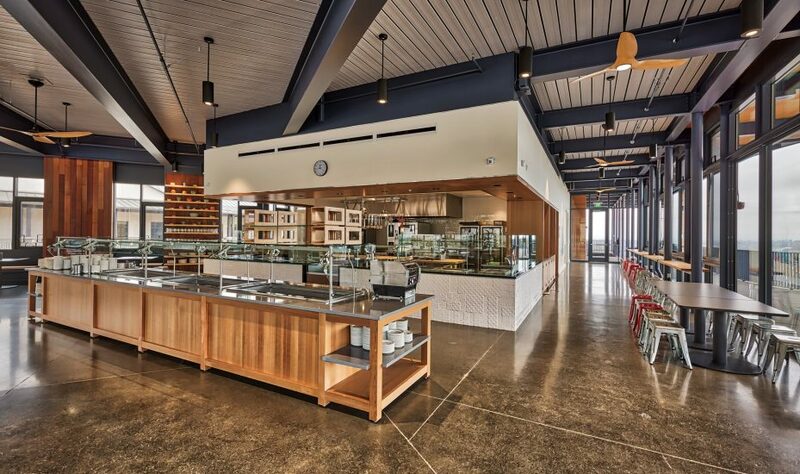 building featuring a student center, community gathering space, maker space, wood shop, audio studio, computer lab, teaching kitchen, and full-service kitchen and dining area where farm to table education takes place. 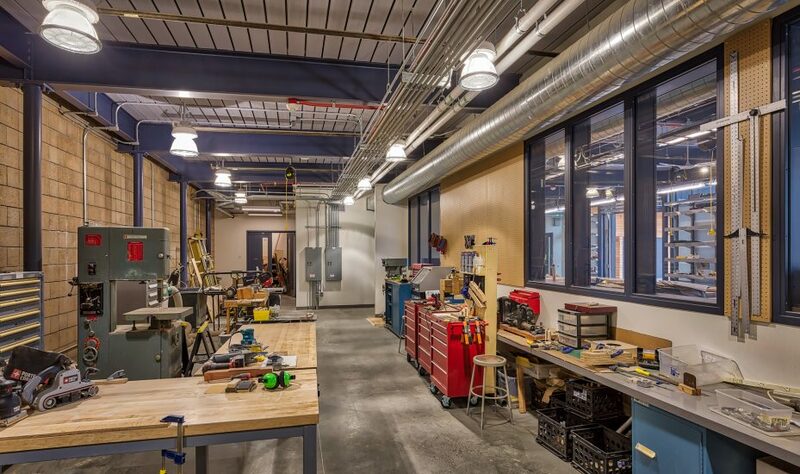 The Maintenance building is a 3,000 s.f. 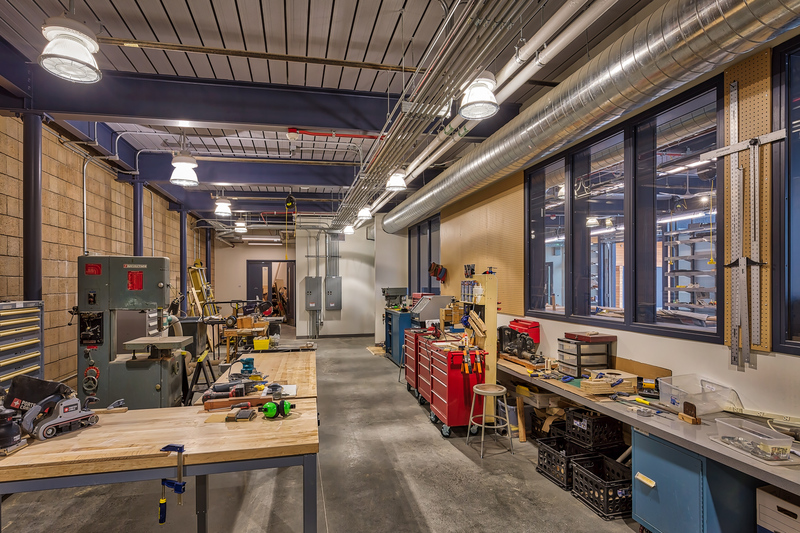 building that houses the school’s transportation services and provides a working space for the maintenance staff. 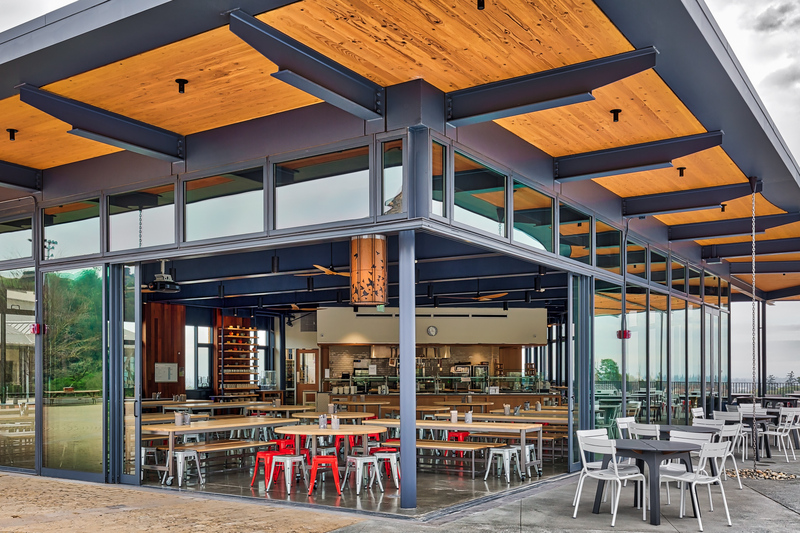 The modern, contemporary look features large sliding doors bringing the indoor and outdoor spaces together. 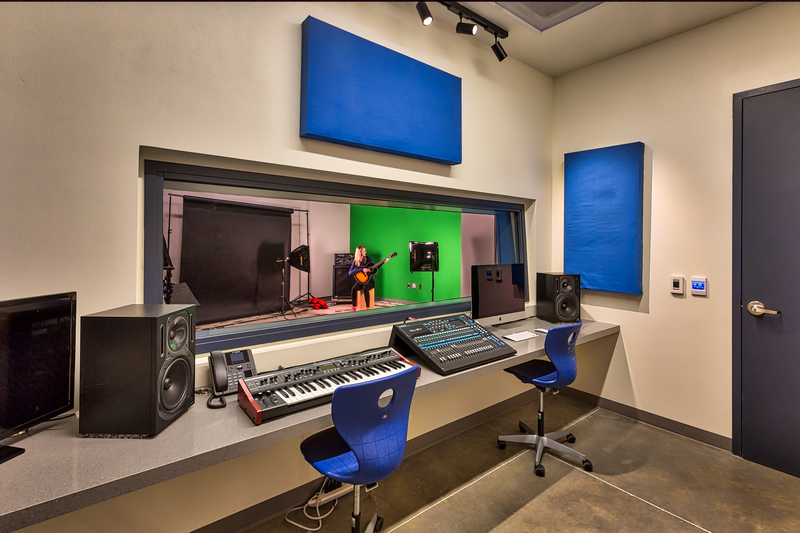 The building is now open and being used by students and faculty to its full intent. 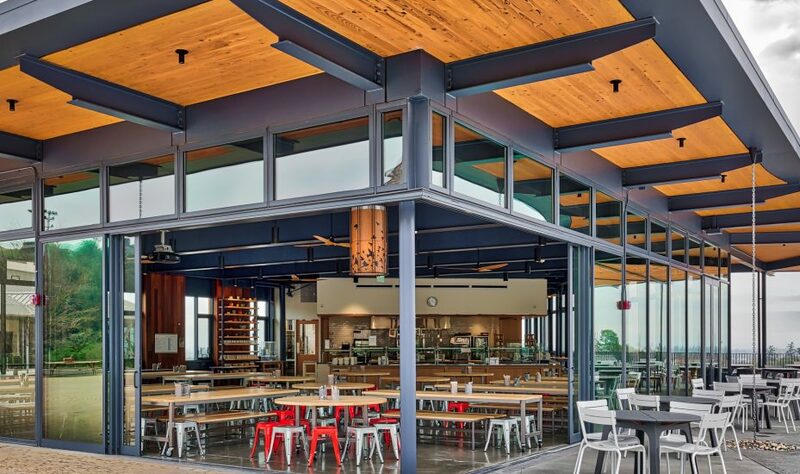 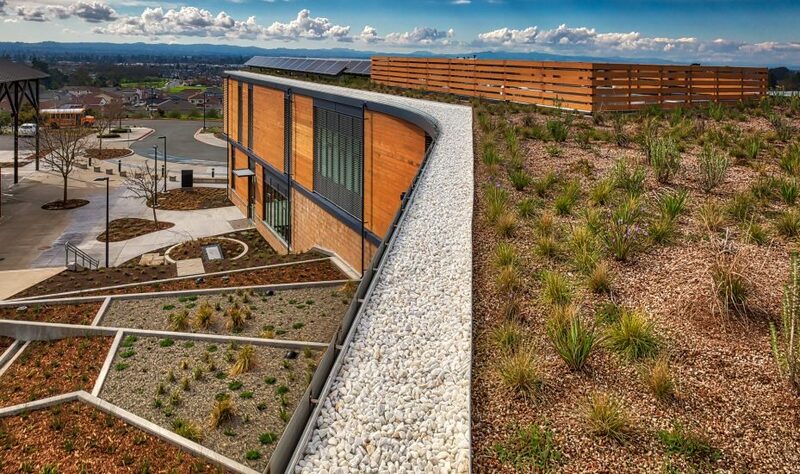 The buildings are targeting LEED Platinum Certification and seeking certification through both the Living Building Challenge and The International WELL Building Institute. 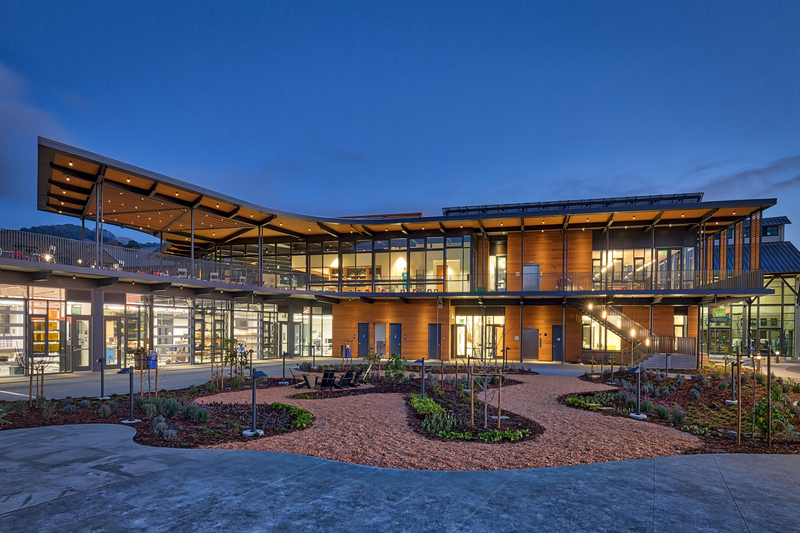 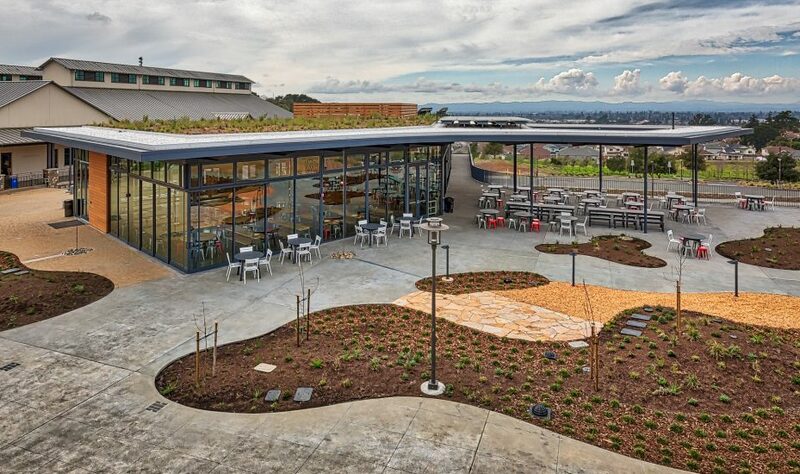 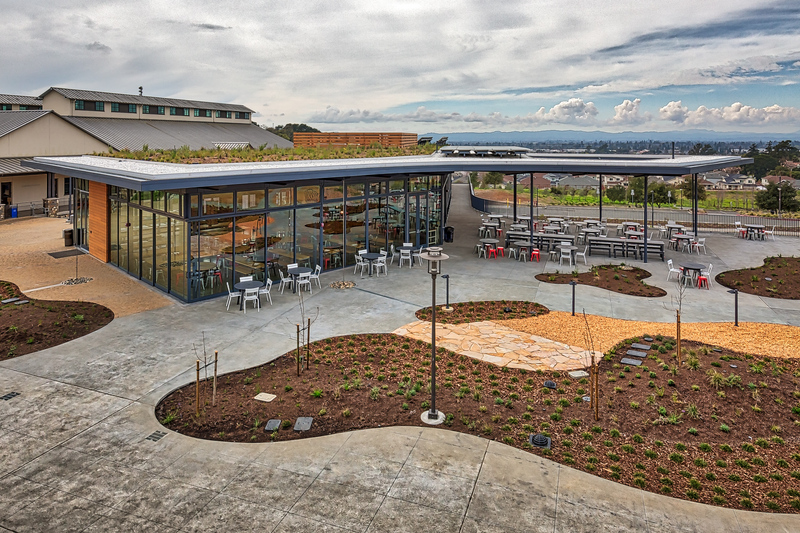 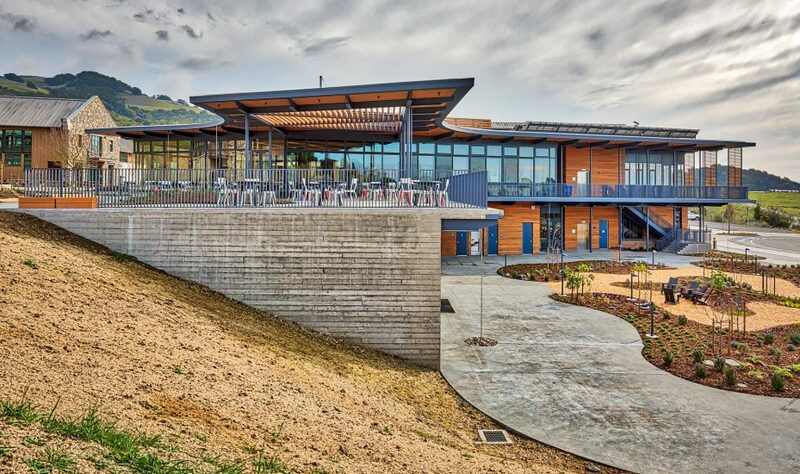 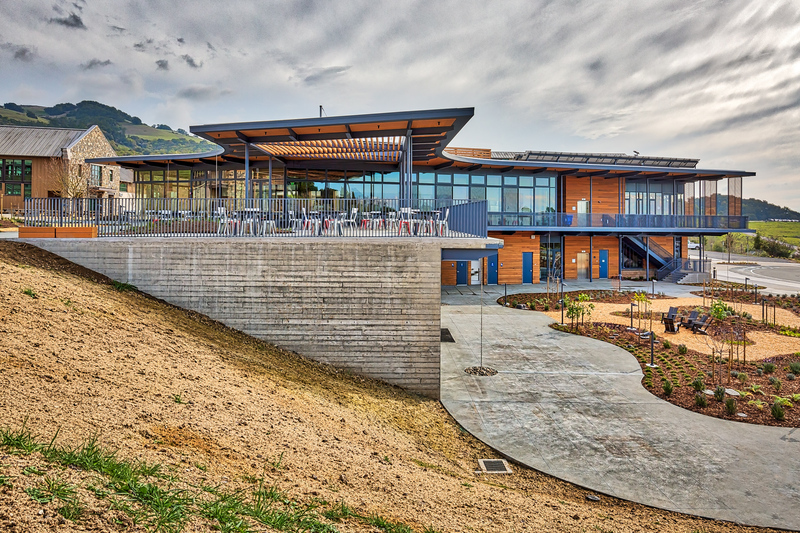 Sonoma County’s first Living Building Challenge. 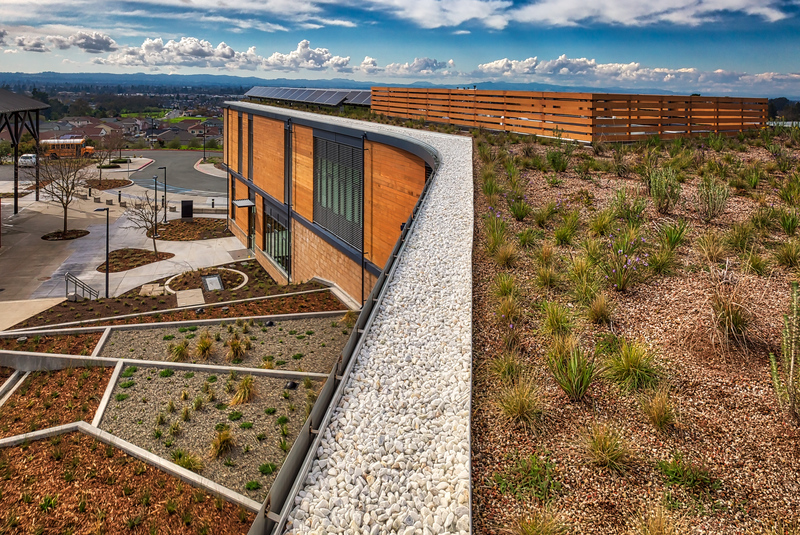 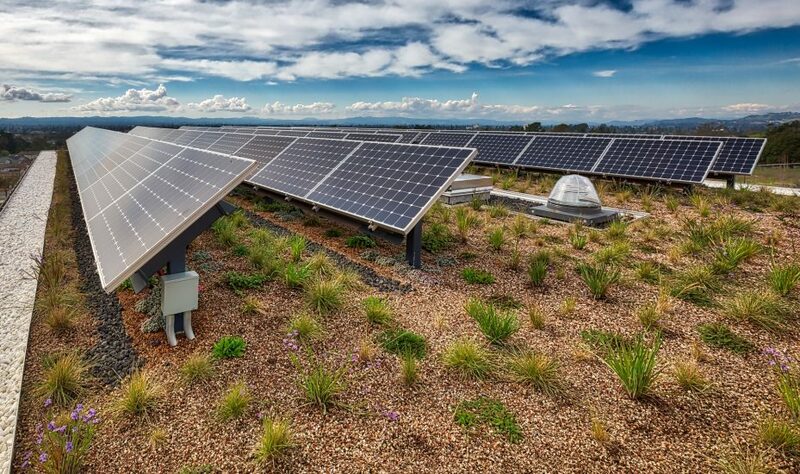 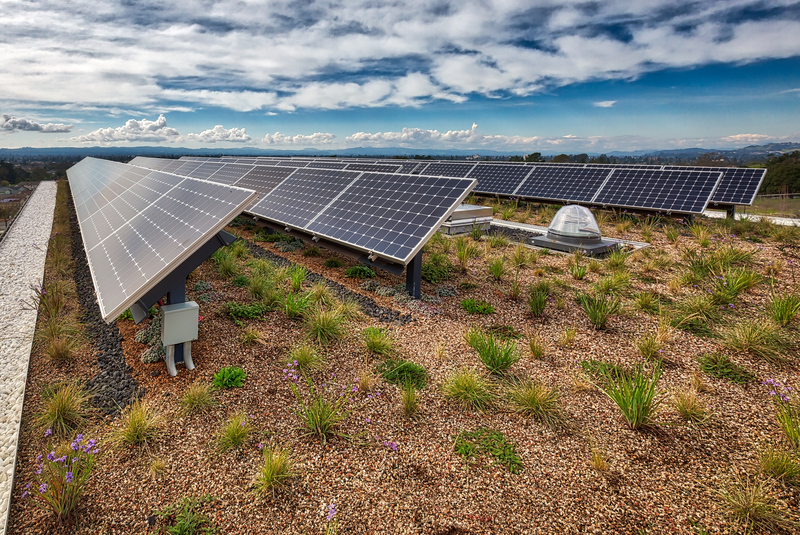 Sustainable energy components of the project include a geoexchange heat-source system, photovoltaic system to achieve Net Positive building energy, a green roof installed on the Grange roof deck, rainwater harvesting, grey water collection and treatment systems, and radiant heating and cooling systems.